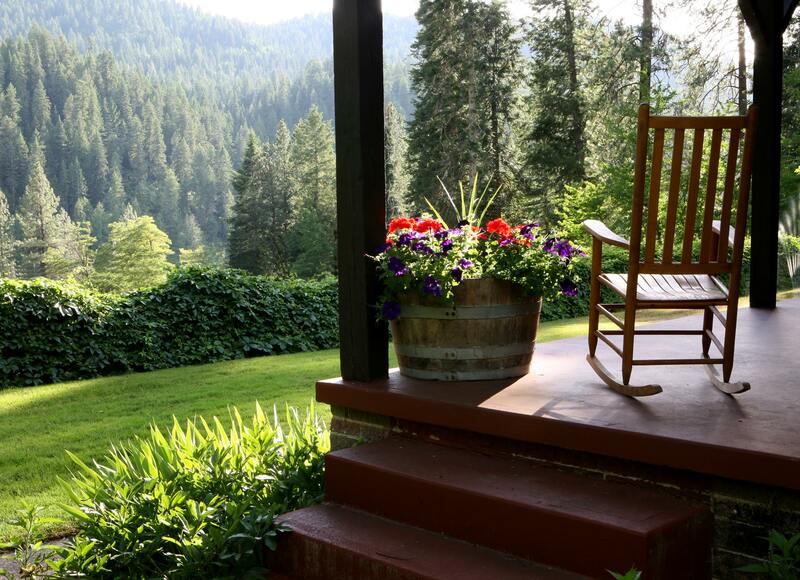 Now its six year, Clearwater Writers is a writing retreat series hosted by Reflections Inn, a quiet, rural travel lodge situated in North Central Idaho on the wild and scenic Clearwater River. The program was established to provide writers time and space away from the usual concerns to focus on furthering projects in a peaceful, inspiring setting. With new and established writers coming from as far away as Los Angeles and Austin, our retreats are also developing a reputation as “the answer” for anyone who is looking for guidance with a particular project. Retreats are facilitated by the Inn’s writer-in-residence, Paula Coomer, poet and author of such books as Jagged Edge of the Sky, Dove Creek, Nurses Who Love English, and Blue Moon Vegetarian. With more than 20 years of experience as a teacher of creative writing, Ms. Coomer offers creative inspiration and support for writers at all levels of achievement and ability. To inquire further, write to Ms. Coomer at coom1286@hotmail.com. If you prefer, you may leave a message at 509-295-8860, and Ms. Coomer will get back to you. WE HAVE TWO NEED-BASED SCHOLARSHIPS AVAILABLE in the amount of $125 each for first-time attendees. To inquire about scholarships, contact Ms. Coomer. Otherwise, please indicate your interest by sending a writing sample (no more than 1500 words) to coom1286@hotmail.com by Sept 20, 2019. If you have been with us for a previous retreat, a writing sample is not required. A phone interview will also be required of first-time applicants. Cost for the retreat is $476. This includes room fees and a facilitator honorarium. A deposit of $175 is due by August 1, 2018. An additional $176 is due by September 16, 2018. Final payment of $125 is due upon arrival. Please bring cash or check (make check payable to Paula Coomer for this part). The fall retreat fills up quickly, so please contact us as early as possible. Food Service is available for an additional fee of $150. This must be scheduled and paid in full by September 14. This fee is paid by check or PayPal directly to Ms. Coomer. If you are interested in Food Service, please write to coom1286@hotmail.com. No refunds after October 1. Refunds otherwise are pro-rated and subject to a 10% processing fee. Successful applicants will be notified upon approval at which point they should make reservations by contacting Ruth May directly at the Inn at 208-926-0855.